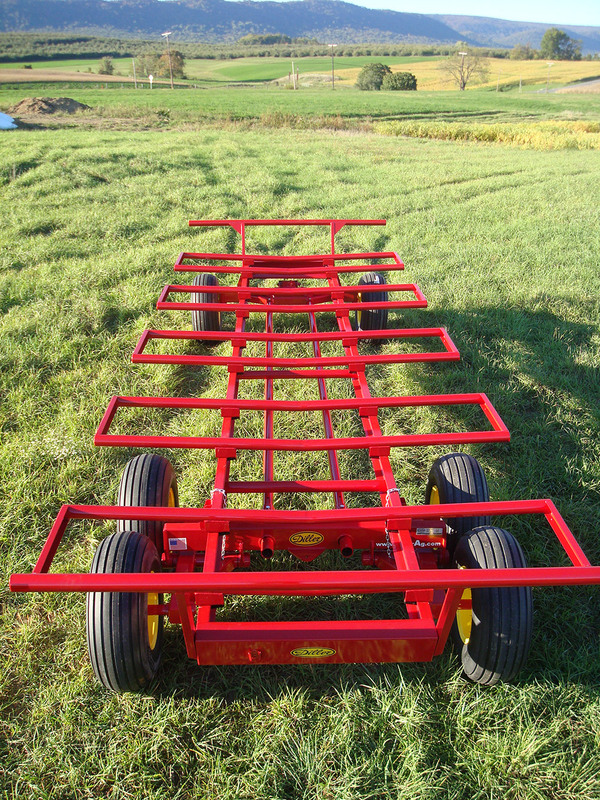 Every Diller Round Bale Carrier is ruggedly built to provide decades of reliable service moving your large round bales. 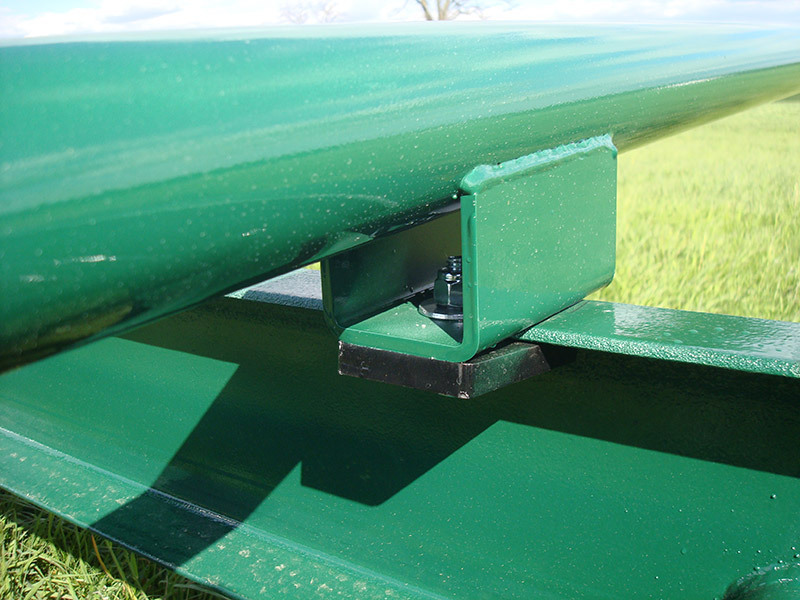 The feature that separates the Diller round bale carrier from the competition is our fully adjustable crossmember system which allows the user to move each individual crossmember to accommodate round hay bales of different diameters. 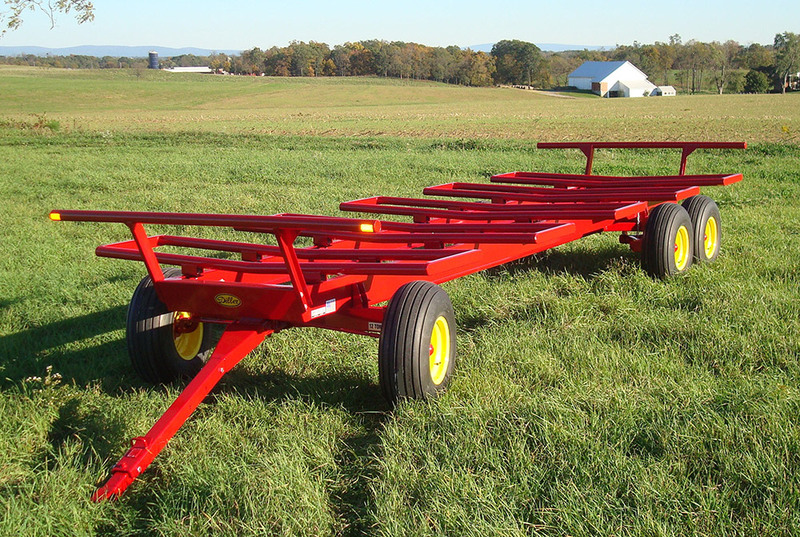 With our design it is possible to accommodate 4', 5' and even 6' round hay or silage bales. 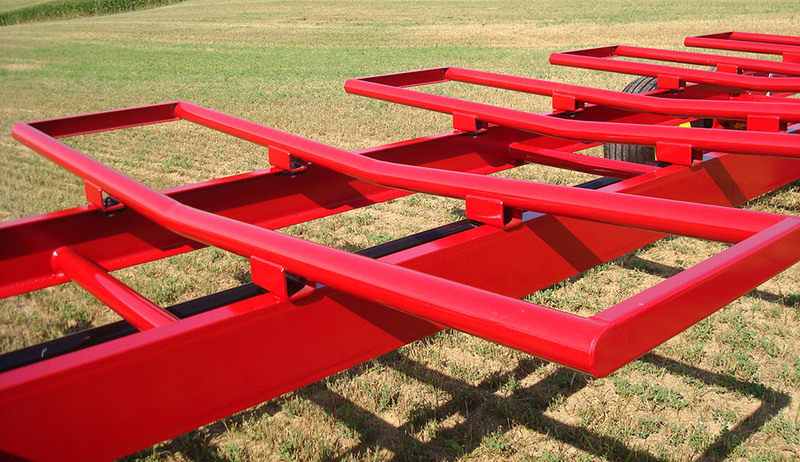 The foundation of every Diller round bale carrier is a heavy duty boxed frame built from structural steel channel (6", 8" or 10" depending on length). 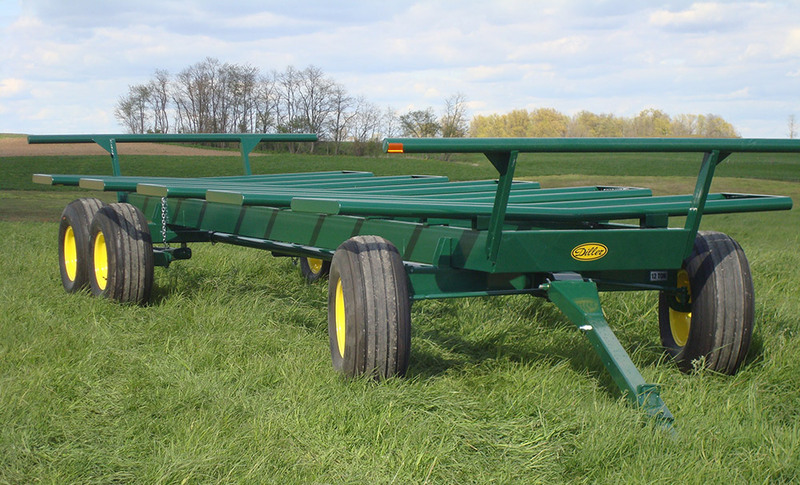 Diller round bale carriers are available in 16' to 30' lengths (in 2' increments). Bulkheads at the front and rear of every Diller bale carrier anchor the load and keep it from shifting when starting or stopping. Each adjustable crossmember is formed from industrial grade 3" OD Schedule 40 pipe and angled 5 degrees inward to keep the load centered and stable. 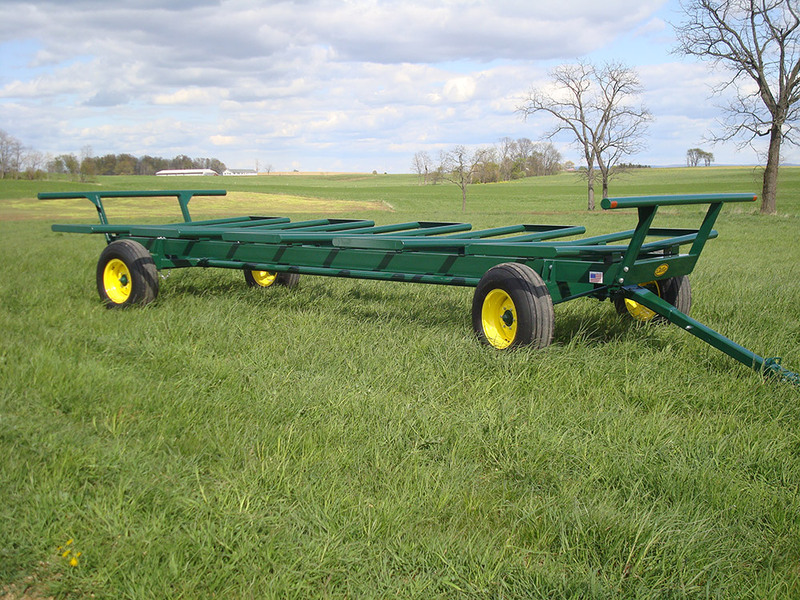 The paired ends of each crossmember are capped together for increased strength and also double as a "catch" to make loading large round bales with a bale spear easier. An additional benefit of our carrier design is that large wrapped bales can be moved with little damage to the wrap because of the smooth pipe and individual cradling of each bale.